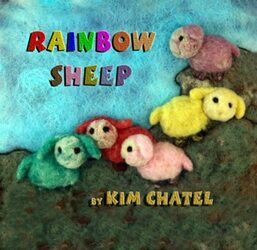 Rainbow Sheep provides two ways for parents to interact with their kids--reading and crafting. A Talent for Quiet is a hybrid fiction-nonfiction picture book for children ages 8 to10. Learn photography and the merits of patience. 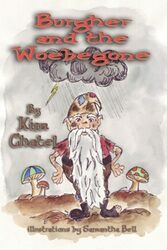 Burgher and the Woebegone, a choose-your-own-adventure, is a gentle, funny look at how self-pity can turn the world grey. Help Burgher make the right decisions! 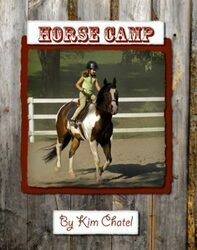 Horse Camp follows a group of young horse enthusiasts through a week at horse camp. Learn equestrian terms and care. Illustrated with beautiful photographs. 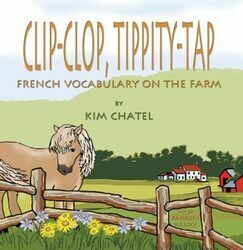 In Clip-clop, Tippity-tap, learn French vocabulary on the farm with Mini-moi, a pony who needs a job that is just his size. 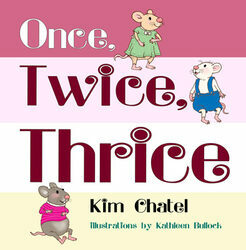 Once, Twice, Thrice is a loving and humorous look at a father trying to explain the mysteries of the English language to his child. © Copyright 2017 by Kim McDougall. All Rights Reserved. No part of this website may be reproduced without permission from the author.